The great French philosopher Aguste Comte predicted in 1835 that we would remain always ignorant of the makeup and even the temperatures of the stars. Now we know that all we need do is shine the light of the Pleiades through a thin wedge of glass, and we have done as well as carried a teaspoon of Pleione to earth. Our talk will survey how our understanding of the nature of light and its interaction with matter has provided us with the tools to study the physical conditions and chemical compositions of astronomical objects. We will see how these tools have helped us understand everything in our universe from the structure of atoms and molecules to the makeup of the objects in our solar system to the temperatures, compositions and motions of stars and galaxies to the nature of the universe as a whole. 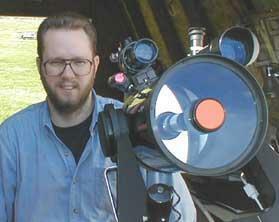 Dr. Robert J. Boyle is Professor of Physics and Astronomy at Dickinson College in Carlisle, PA and serves as the Director of the College’s Michael Britton Observatory. He received his AB in Astrophysical Sciences from Princeton University in 1971 and his Ph. D. in Astronomy from Yale University Observatory in 1981. With his Dickinson students and with his collaborators at NASA/Goddard Space Flight Center he has carried out photometric and spectroscopic observations at major observatories all over the Western Hemisphere. His research has involved the study of variable stars and the giant planets. In addition, Professor Boyle has helped develop innovative activity-based courses in introductory and mathematical physics at Dickinson. In addition to his professional research, Professor Boyle enjoys amateur astronomy activities with the most recent high point being able to enjoy the Great Eclipse of 2017. 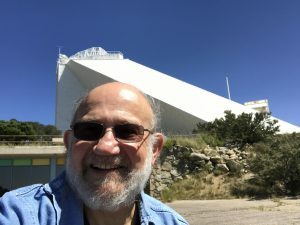 Samara Nagle just came back from Chile as part of the 2018 Astronomy in Chile Educator Ambassadors Program (ACEAP), a National Science Foundation funded program that takes astronomers, educators, planetarium personnel and amateur astronomers to visit key U.S. telescope facilities in Chile. She is an avid astrophotographer and attendee of star parties. She is excited to share her story of the interesting science being done in Chile, the culture, and her experiences with the ACEAP program. I am an astrophotographer who is very passionate about deep space photography. Sharing my photos on social media is how I get people interested in astronomy. 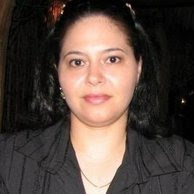 I have a bachelor of Science Degree in computer science, and after receiving my master’s degree, I moved from Brazil to live in the United States. I work as a Project Assistant at an international law firm. I have had a lifelong interest in astronomy. As a child, my father would take me to farms in rural areas in Brazil, and I would see the night sky as I have never seen it before. As an adult, I take every opportunity to travel to dark sky locations to photograph the night sky and share my passion with others. The goal of my work is to inspire others to look up, be curious about the universe and educate themselves to preserve and protect the night sky so we can all continue to enjoy it. From my backyard observatory, I show and encourage people that it is possible to view and enjoy the night sky from urban, light-polluted skies. I dedicate most of my free time reading about astronomy and astrophotography techniques. I also enjoy using my 3D printer to make accessories for my telescopes and cameras. I co-administer a group on Facebook called Telescope Addicts; a group of more than 30.000 individuals from all over the world who share a passion for the universe. I am very excited and proud to be a part of the 2018 ACEAP cohort, and I can’t wait to share what I’ll learn in Chile on social media and my community. In 1966 American astrophysicist Halton Arp published a paper titled “Atlas of Peculiar Galaxies”, which list 338 ‘interesting’ photographs of galaxies that didn’t fit into the normal Hubble classification scheme. Arp was a professor of astronomy at the California Institute of Technology and staff observer at Palomar Observatory. His paper cataloged a series of peculiar galaxies, giving them numerical designations, using the Palomar 48” and 200” telescopes. Through his work of studying these types of unusual galaxies, Arp broke new ground in our understanding of the universe, and along the way sparked a debate that challenged the basics of the Big Band Theory. Today, we’re going to look-back on his life and accomplishments, talk a little bit about the redshift controversy, and his Atlas. We’ll also review a number of my observations of his peculiar galaxies. Many amateur astronomers living north of the equator dream about exploring southern skies, preferably with large telescopes. Few people know that there is an affordable way to achieve this goal: OzSky star party in Australia. This talk is based on my trip to Coonabarabran, NSW in April 2018 and it will describe in detail everything an amateur astronomer needs to know regarding such trip. I will cover trip organization, costs, observing equipment available on site and the one you may want to take, selecting objects, available observing lists and lots of other interesting details. Jaroslaw “Jarek” Pillardy holds a PhD degree in theoretical chemistry and his research spans protein structure prediction, computational biology and bioinformatics. He is also responsible for Cornell University Life Sciences high performance computing infrastructure. 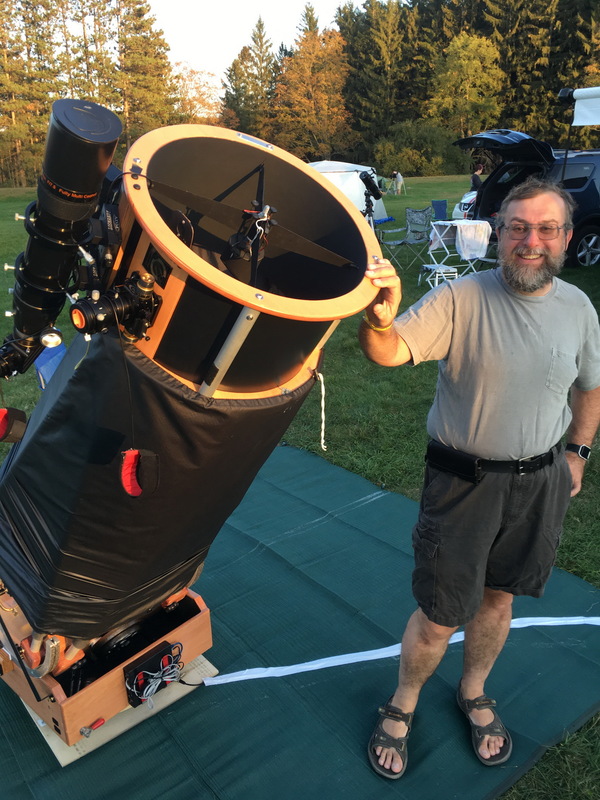 He is an active amateur astronomer interested in visual observing with his C14 and 18” Obsession telescopes, electronically assisted astronomy (EAA) and imaging. His current main project is employment of EAA in real-time observing of various types of objects. He shares a lot of information about his experience in EAA, imaging and visual observing on his website http://jareksastro.org/ . He lives near Ithaca, NY.